Holy Trinity has a strong commitment to Christian education for all generations. For adults, we offer a weekly Adult Forum that takes place each Sunday in the church library at 10:00 a.m. between the two worship services. Forums focus on a theme that changes quarterly and is explored from a variety of perspectives. A typical quarter might include theological and biblical reflections, explorations of cultural and justice issues, and a book study. 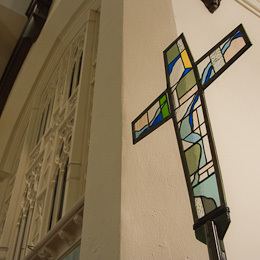 Presentations are invited from congregation members and others from the wider social, political, and theological community. The goal is to engage members in dialogue about significant issues of faith and life from a theological perspective. On February 17, please join us for the Adult Forum on “Sexuality and Spirituality” with David Weiss. To download the study materials for that adult forum, click here.